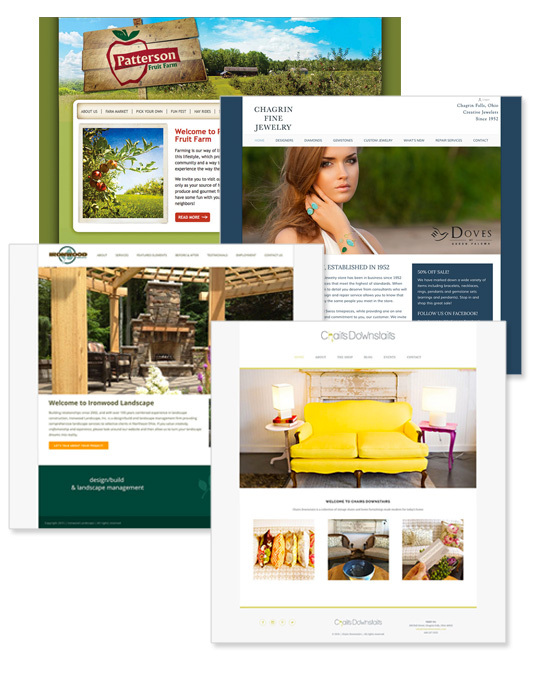 Whether you’re a small, new business or an established company, you need an effective website. It’s no longer optional, it’s an important part of doing business. If you’re looking for small business website design, maybe all you need is a simple brochure website that tells your customers who you are, what you do and how you can be contacted. On the other hand, if you’re an established company, chances are you already have a website, however, because of rapidly changing web technologies, it’s probably out of date and in desperate need of responsive website design services. Either way, your website should be professionally designed, impeccably organized and easily accessible to your current and prospective customers. It may only need to be a simple one page website that describes your business, or it might need to offer up functionality that makes it easy for you to either sell your products online, or interact in other ways with your customers. It’s also imperative that your website is designed in a responsive framework so it automatically adjusts for optimal viewing no matter what device your visitors are using to browse your site. I offer custom, responsive website design services for businesses of all sizes across many different industries. My speciality is offering affordable web design and development services and all my websites are built using the WordPress Content Management System. I focus on organizing web content and creating web designs that that are attractive and easy to navigate. All my websites are programmed with a solid foundation for search engine optimization and follow best practices for WordPress security. I also offer WordPress website packages for smaller companies that are just getting started and need a simple way to get their website launched in a hurry. I am based just outside Cleveland, Ohio, but offer my web design services to companies across the country. Thanks to technology, long distance web site projects are no problem! Please contact me about your responsive website design needs. I’d love to hear more about your business and am eager to help!